HA NOI (VNS) — Minister of Agriculture and Rural Development Cao Duc Phat urged localities to control the use of prohibited substances in livestock breeding and suggested stricter punishments for violations. The ministry ordered localities to investigate the use of prohibited substances – particularly salbutamol, an agent fed to cattle to make them lean. Breeding farms, slaughterhouses, markets, and other establishments producing and trading animal feed were to be inspected, the ministry instructed. Phat required that animal feed establishments take precautions when mixing veterinary medicine with feed. Animal feed and cattle's urine must be examined in breeding farms and households, Phat said. The slaughterhouses also needed to test liver, kidneys and urine samples before killing cattle. Pork, beef, kidney and liver samples also needed to be tested before being sold, according to an official instruction Phat released. 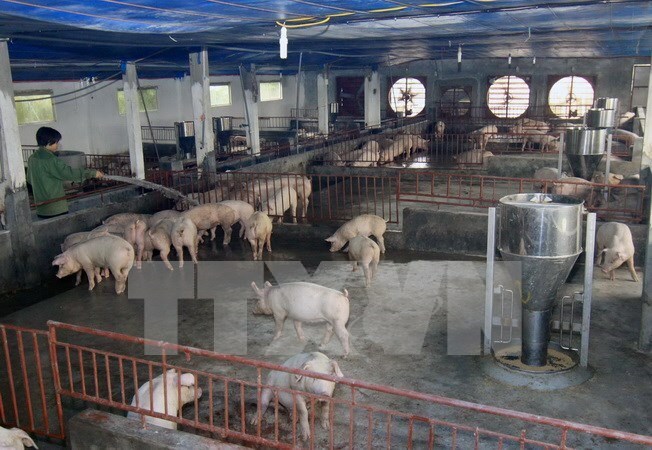 In addition, the ministry ordered local authorities to disseminate information on the ill effects of prohibited substances on the public's health and the prestige of Viet Nam's breeding sector. According to a ministry press conference in August, the use of illegal substances in the animal-breeding sector is on the rise, especially in southern provinces.